🎄Hallo, holiday! You're just full of surprises! Surprise! It’s me! Okay, I know, not a surprise. 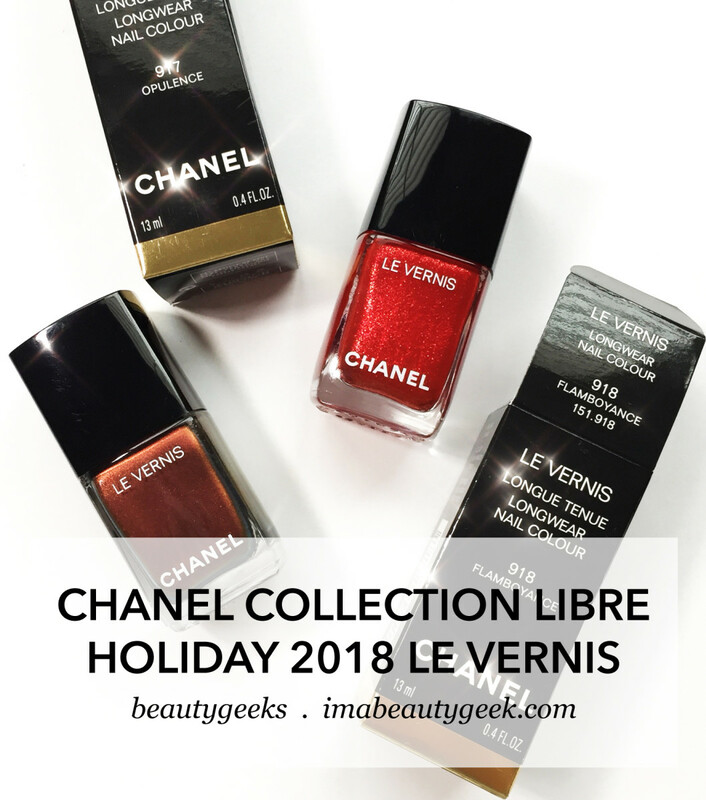 But what IS a surprise is that I requested these two Chanel Collection Libre holiday 2018 polishes with zero idea of what they actually looked like. I know, right? Who does that? Here’s how it generally goes: stuff arrives, I chuck it over here on my desk, and then at some point a few days later, I open it and get to painting so you can see it. But then I saw the little gold shimmery and thought “Hey! 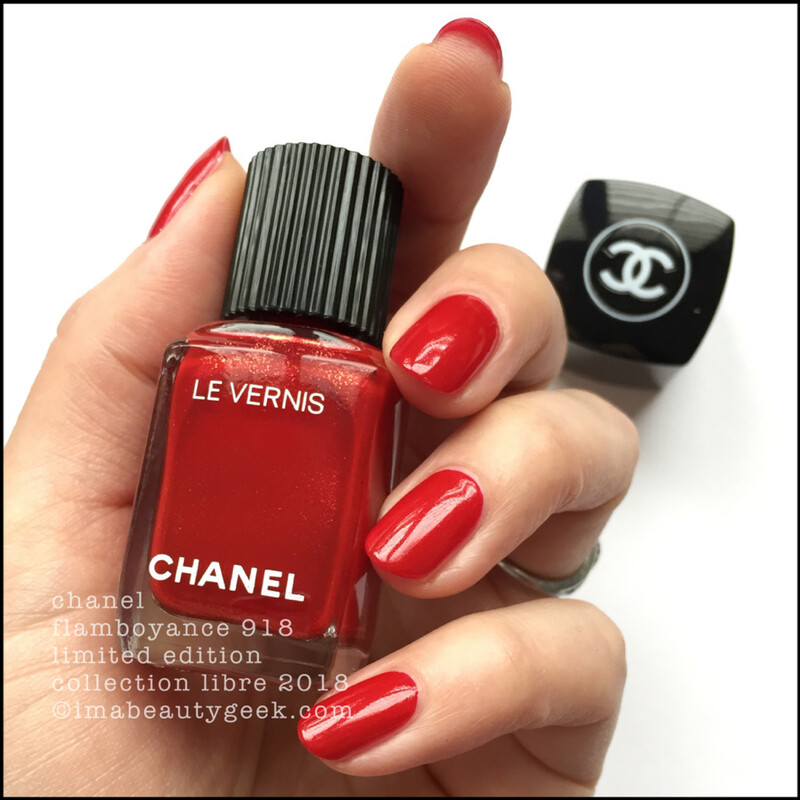 This might be sumthin’!” And then in 2 coats (plus a quick swipe of top), it came out as this elevated, beautiful, stealth-shimmery Christmas red. The gold in this lightens and brightens without screaming. It turns out Flamboyance is rather a sophisticated holiday shade. And it is. 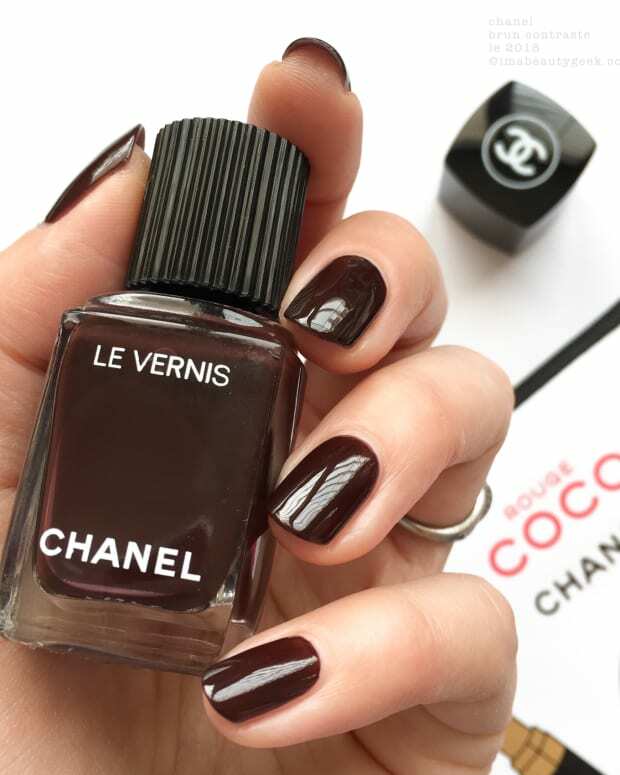 Opulence is this most stunning shifty sister of the Fall 2015 Chanel Troublante 675. 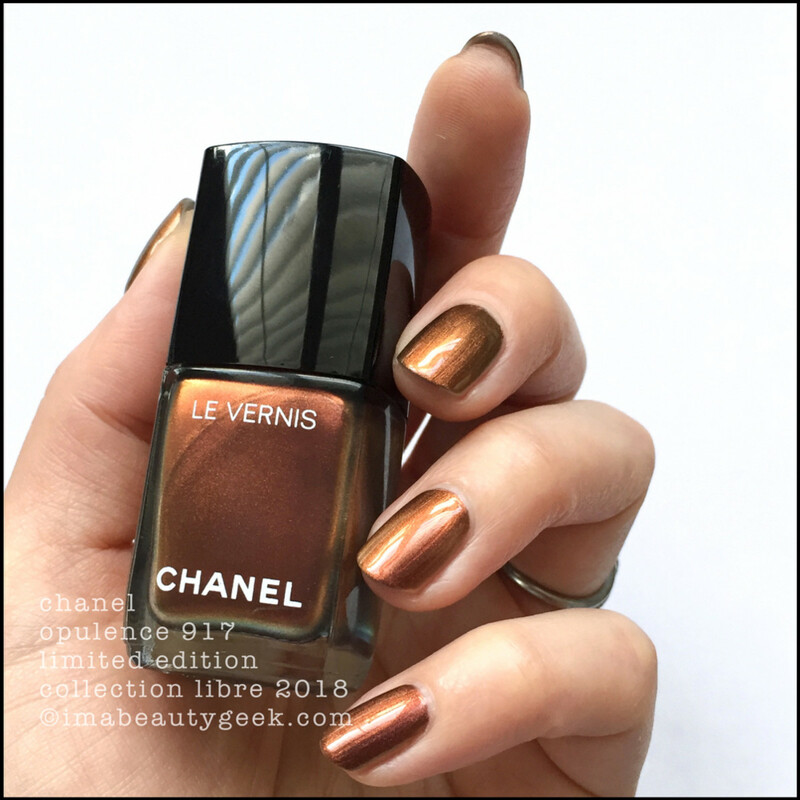 In natural light, this holiday shade pulls a tiny bit more coppery-bronze and a little less reddy-gold but in most lights, they’ll look like twins. Still, similar but not the same. And formula-wise? 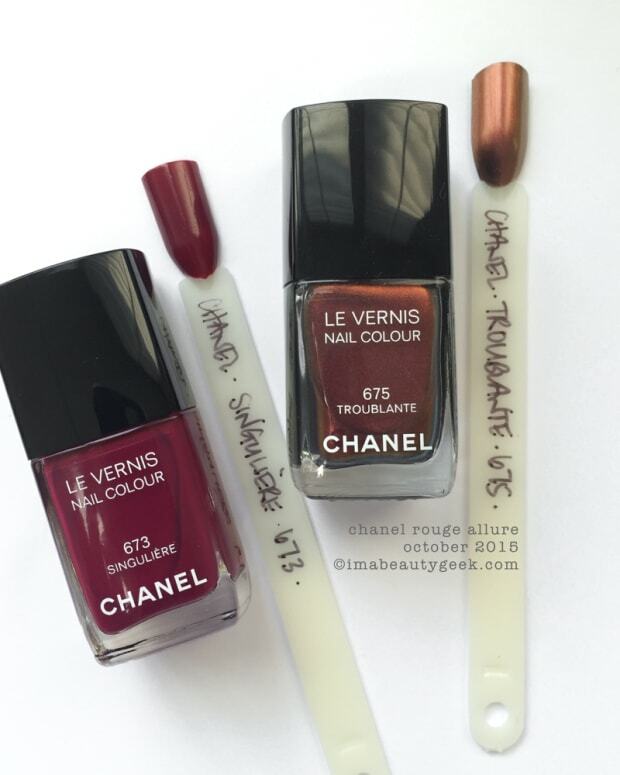 Opulence is better – did I mention it&apos;s 2 coats? Yep, I’m a fan. So there you have it! 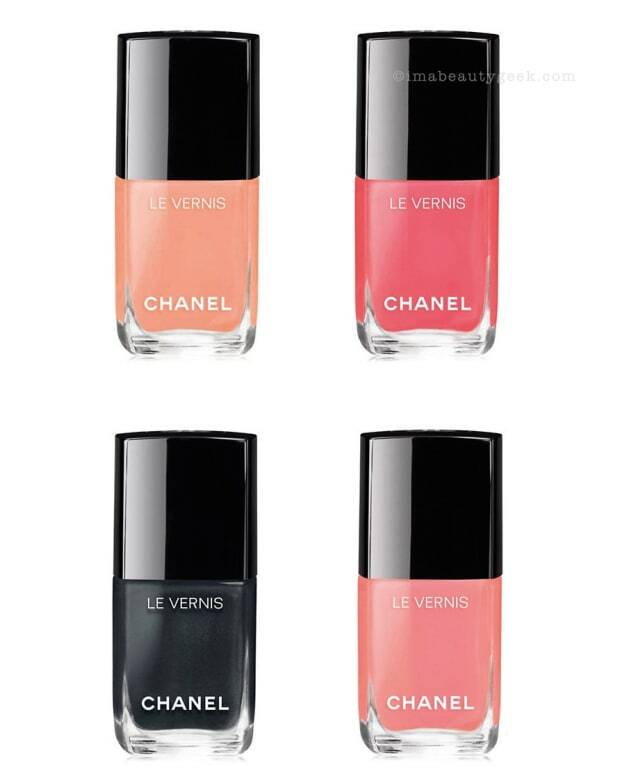 The two Chanel Collection Libre 2018 Holiday 2018 polish shades ($33 CAD at holtrenfrew.com and Nordstrom stores; $28 USD at nordstrom.com)! And they’re both lovely. Is one more special than the other? Well that just depends on what’s already in your Archive and what you feel like wearin’ this season. Me? Hand over the Opulence and nobody will get hurt. PostScript: It is entirely possible that your definition of "duplicate" is not as strict as mine. If your definition is not exactly the same as mine, then our definitions are similar, but not the same. To me, a duplicate must correspond in all aspects; those include formula, application, and finish.